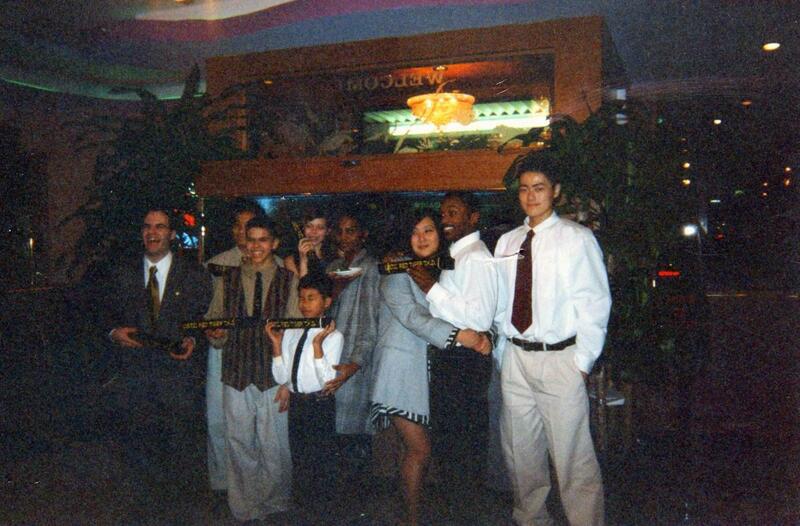 Like most young boys, the martial arts captivated me. I mean, who hasn't fantasized about beating up ten bad guys at once, jumping over buildings, kicking through walls or any of the other many incredible feats we've seen performed in the average martial arts movie or action film. So like many other children I begged and pleaded with my mother to sign me up for "karate" classes (yes, I too thought all martial arts styles were called karate). But it wasn't meant to be (at the time). One reason being my mother was and still is to this day, very protective of her "boys" (I still get in trouble if she catches me out in the cold without a hat or gloves). Years later as a young adult my fascination with the martial arts waned as I grew past most of the myths and mysticism of the arts (imagine my disappointment when I realized I wouldn't be able to run across water or jump over houses) and grew into other things, like money, girls, hanging out with "friends" and those other things that we think are the most important aspects of life as we tread through the teenage years. One day while on 5th St. in the Olney section of the city of Philadelphia, a friend (later to be my wife) and I headed into a pizza restaurant for lunch. Inside, while waiting for our order, I noticed a flier posted on the wall for Taekwon-do classes at a recreation center not to far from where I was living at the time. Upon seeing this flier I mention to my friend that I had always wanted to take up martial arts. She then tells me how she was forced to train Taekwon-do by her father when she was younger but quit (funny thing is that years later as an instructor and practitioner it is one of my biggest pet peeves to hear someone say, "I used to train"). I guess feeling nostalgic, she convinced me to go take a look at the class with her. I agree. Later that day we arrive at the Ziehler Recreation Center. We got there just before the adult session was about to begin. We set and spoke with the instructor, Mr. Miguel Montero, and explained to him that we saw his flier in "Mr.Pizza", and we were curious to see what his class consisted of. About one hour later the session had ended and my curiosity had been satisfied. I was prepared to go over and thank Mr. Montero for the opportunity to sit in and watch one of his classes then be on my way to continue with the course my life was already set upon. But with the combined impulsive nature of my friend and the uncanny business sense and salesmanship of Mr. Montero I found myself signed up for a month of Taekwon-do sessions. 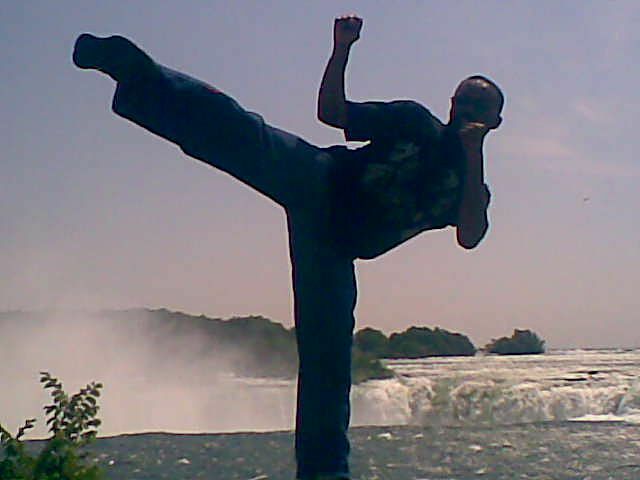 The next few years of training seemed to fly by in the blink of an eye and that fascination with the martial arts that I had assumed I grew out of... It turns out it was always still there. It just needed a push and pull in the right direction to find it's way back to the surface (Thank you Jein Won-Floyd and Sabumnim Miguel Angel Montero). 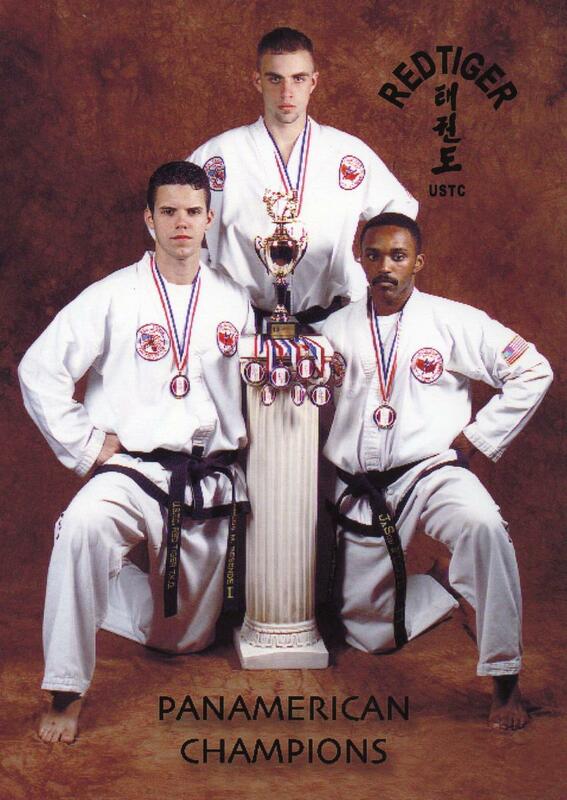 I received my 1st degree black belt in late 1998 and my instructor sat me down and had the same discussion with me that he said his instructor had with him. 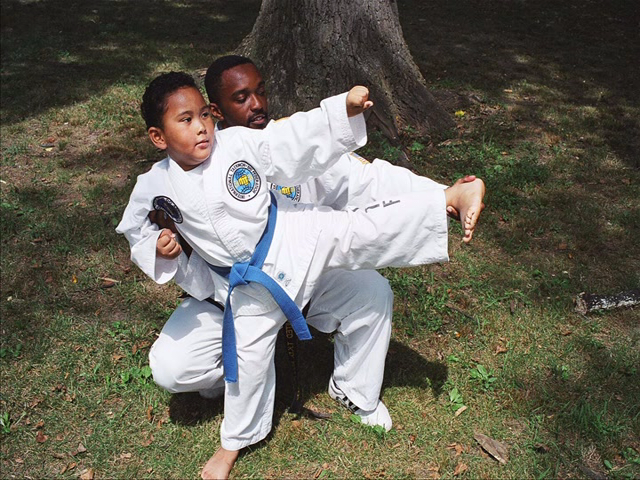 He told me that I had passion and dedication to Taekwon-do that not all students have and I should share that with others who wish to train in the art. Now, as any "good" student knows, it is very hard to say "no" to your instructor. But I never had a desire to become an instructor. I already had plans, and devoting more of my time to Taekwon-do then I already was and not for my own personal training but for others, was not a part of my plans. But as I said earlier, it is very difficult to say no to your instructor. Besides, opening my own do-jang (training hall) would not only be a first and big deal for me but it would also be a first and a big deal for my instructor, as I would be his first student to branch out form under him and begin teaching. 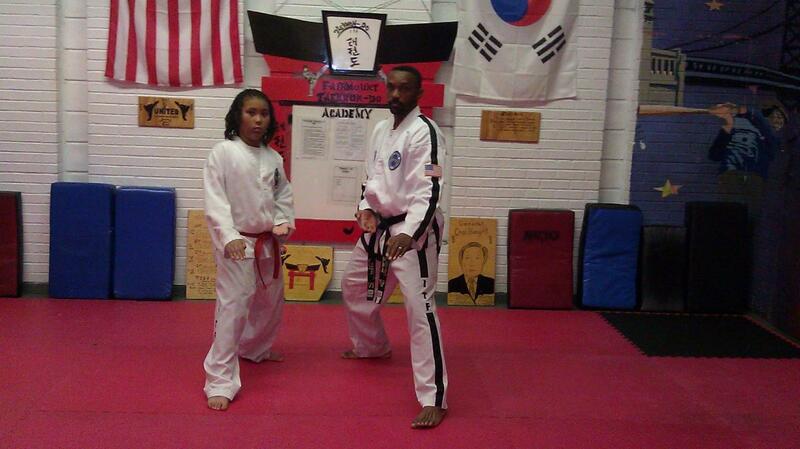 So for him more so then for me I decided to become a Bosabum (assistant/novice Instructor). 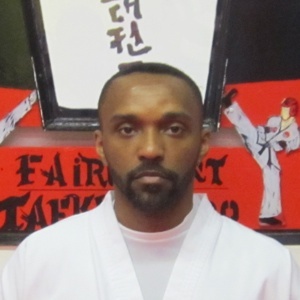 In March of 1999 I began teaching Taekwon-do at the Roberto Clemente Recreation Center and believe me when I say, it was far from a glorious beginning. My registration week only brought in two students and supervision at the rec itself was almost non existent. There would even be days where I would have classes scheduled but no one would show up to open up the center. Needless to say I was on the verge of closing up the do-jang and calling it quits on the instructing path of my Taekwon do "career". But something happened... The grandmother of one of my two original students told me what a positive effect I was having on her grandson and how she could see a change in his mannerisms and confidence. that's when I realized that I could make a difference... that I was making a difference. That's when I decided that I wouldn't abandon the rec center or the neighborhood (if my "job" was to help build a better world I realized that it would be best to do so in an area that could use the positive effect). As long as one student wanted to train there I Promised m yself that I would be there to teach in one way or another. As years past I began to notice that not only was I becoming a better instructor but also a better all around Taekwon-do practitioner. The things that my instructor tried to instill into me for years finally started to make sense as I tried to explain the same teachings to my students. It's true that a good teacher not only teaches his/her students but learns from them as well. Things were starting to finally fall into place and look up. Even the rec center became a better place. There is currently a very attentive staff running the center and the city even renovated the playground area. 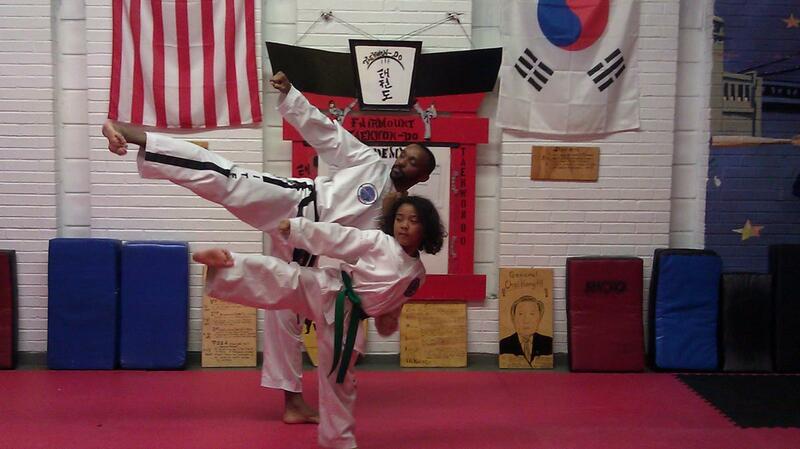 Taekwon-do has lead me down a very interesting path these past fifteen years. 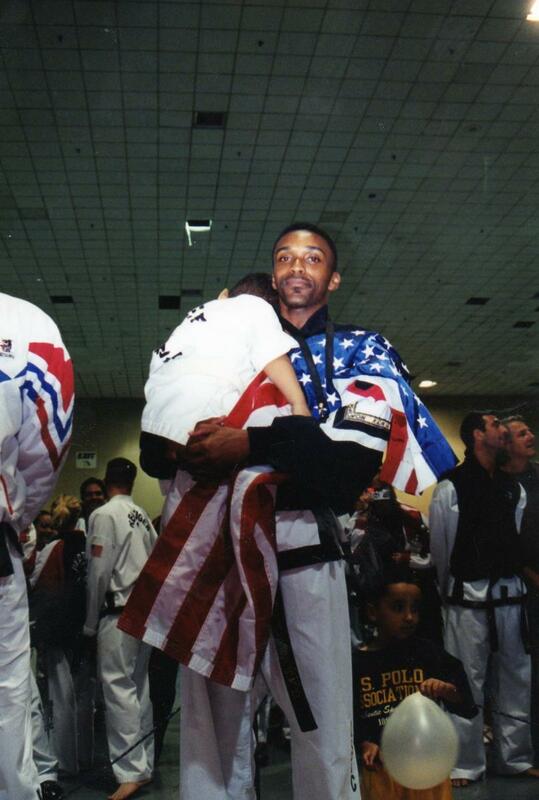 I've graduated six black belts (two of which still currently train with me at FTKDA) and I have traveled the world attending various seminars, demonstrations and tournaments. 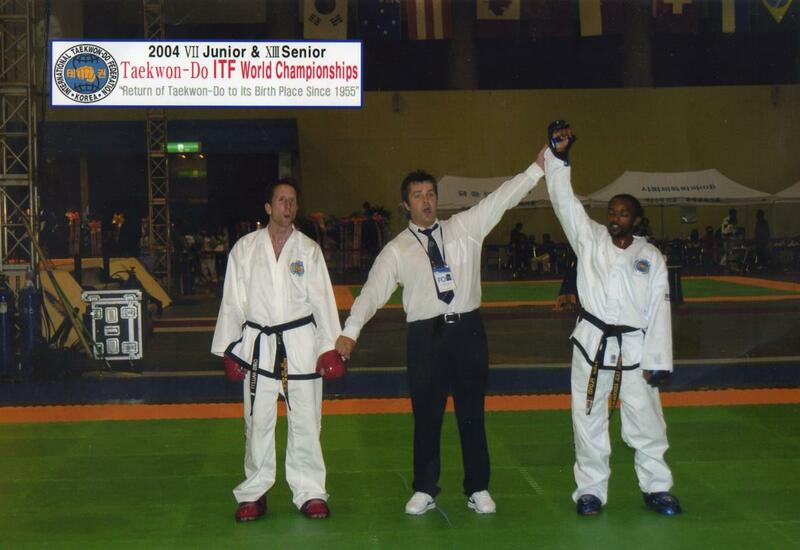 Some notable mentions include the 2000 PANAMS in San Juan, Puerto Rico, 2002 Open world Championships in Miami, Fl (which presented an opportunity to take my eldest son to Disney World with the team I competed along side), 2004 XIII annual ITF World Championships in De Jeon Korea and the 2007 and 2009 CANAMS in Oakville OT Canada. I have recently attained my 4th degree in 2010 and the fascination that I developed as a child all those years (not really that many - I'm still pretty young) ago is still burning strong.